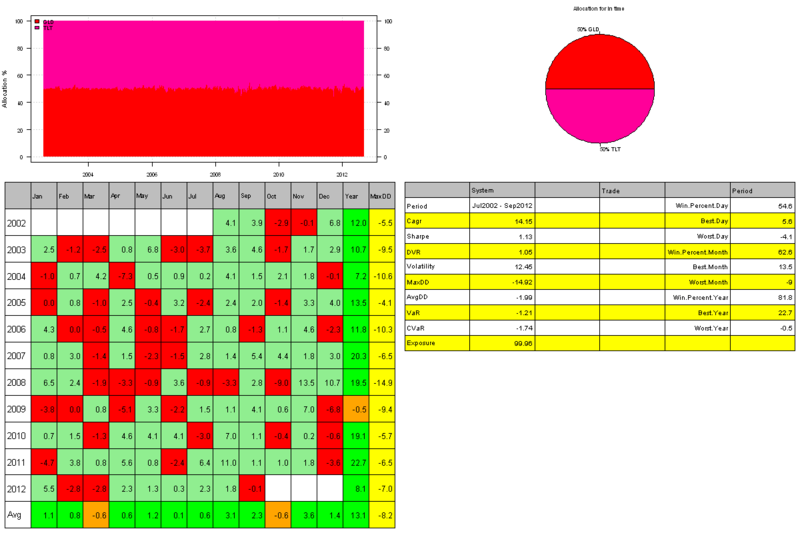 While back-testing trading strategies I want all assets to have long history. Unfortunately, sometimes there is no tradeable stock or ETF with sufficient history. 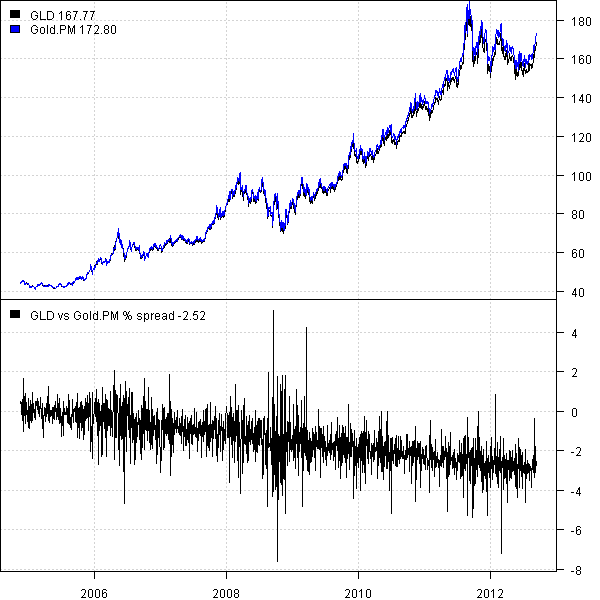 For example, I might use GLD as a proxy for Gold allocation, but GLD is only began trading in November of 2004. We can extend the GLD’s historical returns with its benchmark index – London Gold afternoon fixing prices. Let’s first download and plot side by side the GLD and London Gold afternoon fixing prices from http://www.kitco.com/gold.londonfix.html the convenient CSV download is provided by Wikiposit. There is a divergence between GLD and its benchmark index. Please read “Gold’s ‘Paper’ Price” article by B. Zigler for a detailed discussion and explanation for this divergence. 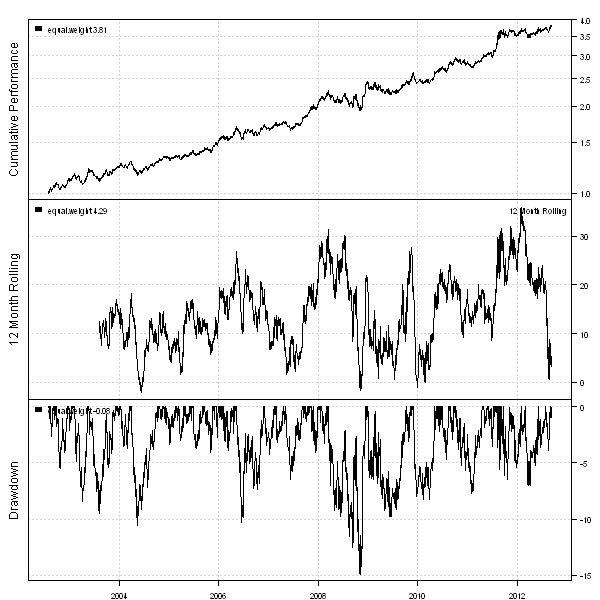 By extending GLD’s time series, the back-test now goes back to the June 2002, the TLT’s first trading date. To view the complete source code for this example, please have a look at the bt.extend.GLD.test() function in bt.test.r at github.